Echos are for people who want to set kitchen timers and listen to music through tiny speakers, right? Until Amazon&apos;s September event, that&apos;s how many music fans would have described Amazon&apos;s line-up of Alexa-powered Echo speakers. That&apos;s now all changed with Amazon&apos;s introduction of a clutch of hi-fi components – the Echo Input and Echo Sub, but more importantly, Echo Link and Echo Link Amp – that together have the potential to take Alexa to every speaker, amplifier, hifi and TV in every room in a house. Did Amazon just make a play for the entry-level audiophile market – and take a huge swipe at Sonos along the way? You bet your soundbar it did. Echo Input is a Google Chromecast Audio-beater. Although Amazon did unveil new versions of its Echo Dot and Echo Plus both with upgraded speakers, true audiophiles will rightly ignore them as being about convenience-over-quality. That&apos;s not the case with the Echo Input, a speaker-less dongle that lets you add Alexa to an existing speaker for a paltry $34.99/£34.99. 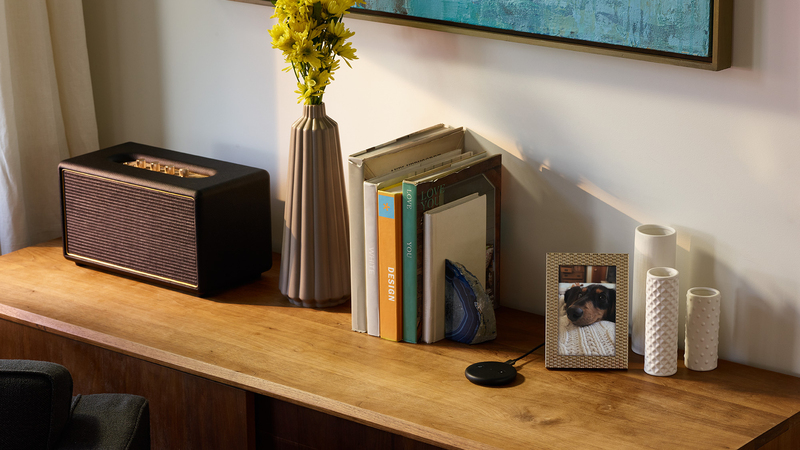 This tiny, black or white Google Chromecast Audio-like device attaches to any hi-fi equipped with a 3.5 mm jack, but also wirelessly to Bluetooth speakers, essentially bringing all the features of the Echo Dot to any speaker in a home. 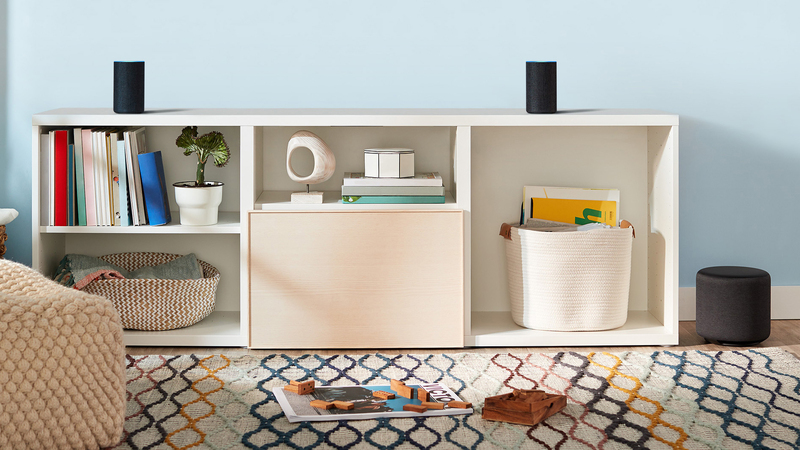 "Amazon&apos;s Echo Input adds far-field Alexa experiences to existing connected devices such as Bluetooth speakers, your old home stereo or even your big-screen TV with an input jack," explains Werner Goertz at analyst firm Gartner. It&apos;s got four microphones, but crucially the Echo Input allows any speaker to be added to a multi-room music set-up. However, the announcement of the Echo Input – currently only available via invitation – proved a mere aperitif for audiophiles. Echo Link Amp is a 60W, 2-channel amplifier. Since poor bass response has so far kept the Echo family of devices firmly away from the attentions of those after excellent sound quality, it&apos;s no surprise to see Amazon announce Echo Sub. This subwoofer, available in October, has a six-inch woofer and 100W power. It&apos;s for pairing with Echo or Echo Plus, and available either separately or with two Echo devices to create a quick 2.1 streaming system. Clever as that seems, however, a 2.1 setup that uses Echos is only going to suit a small room or living area. The serious audiophile gear comes with the arrival or the Echo Link ($199.99, again only in the U.S. for now) and the Echo Link Amp ($299.99). 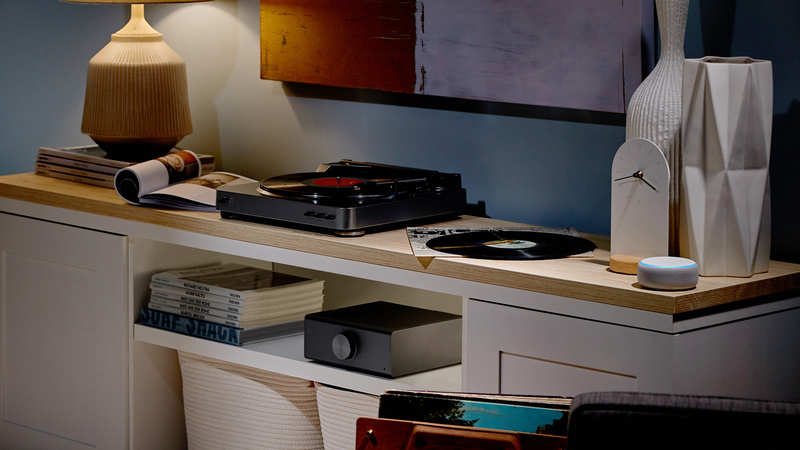 Both support for multi-room music through Alexa, but also bring simple voice control of volume for an otherwise firmly analogue setup that presently includes only a record player. Echo Link Amp is a well-equipped piece of equipment. In marked contrast to most of the Echo family so far, these are serious and well-equipped pieces of equipment. For example, the Echo Link (available later this year in the U.S.) for connecting to an existing amplifier has ins and outs for optical, coaxial and analogue audio, a 3.5 mm headphone jack, and a subwoofer line out. There&apos;s also an Ethernet port and a volume knob. The Echo Link Amp (available in early 2019) for connecting to passive loudspeakers adds a built-in 60W, 2-channel amplifier with left/right speaker terminals. 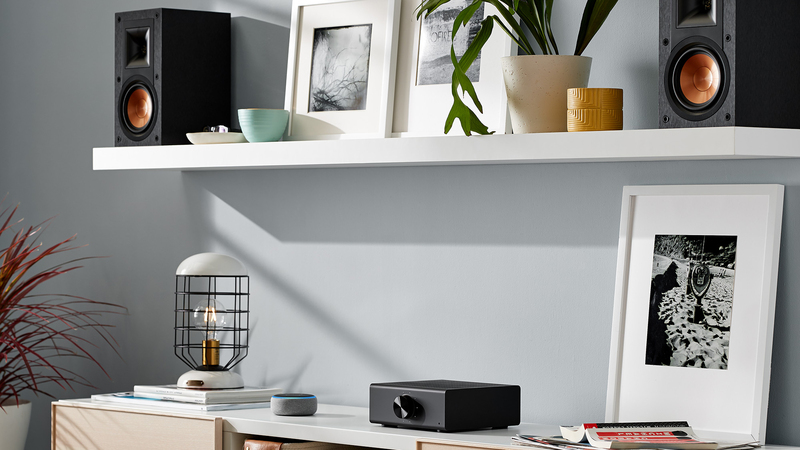 Naturally, voice can be used to select music, change the volume, or configure multi-room options on the Echo Link and Echo Link Amp using the Alexa app or another Echo device. Critically for audiophiles, the latter contains a high-res 24-bit DAC, so expect it to access to Tidal&apos;s lossless audio music streaming service. Is Amazon stealing Sonos&apos; thunder? Amazon&apos;s decision to go for the audiophile market is a direct attack on a market – multi-room music – that&apos;s currently dominated by Sonos (whose Sonos Amp is out in December). However, it&apos;s also an effort to get into a market ahead of its other rivals. Can Amazon challenge Sonos? Absolutely it can, and its offering of good value, modular multi-room music with voice-control baked-in will prove irresistible for some. If Echo Dot is the entry-level, then this is the next logical step up. Echo Sub works with Echo and Echo Plus. Are we ready for hi-fi Alexa? There is one big question: does your average hi-fi enthusiast care about voice control? Or multi-room? I&apos;m not convinced they do … yet. I wouldn&apos;t be surprised if the Echo Link and Echo Link Amp remain niche products and have a limited shelf-life. But a lot will depend on sales of the Echo Input, which will introduce – for a low price – the concept of voice control to many music fans. Amazon probably know that already; this is largely about ‘Alexa everywhere’. "Amazon&apos;s announcements are sharp reminders to Apple and Google that Alexa has a significant lead that it is working meticulously to maximize," says Blaber. "The Echo is now just one of many control points as rivals are still boarding the smart speaker bandwagon." So this is about extending its dominance in smart speakers, sure, but it&apos;s mostly about one thing: Amazon wants to get Alexa everywhere as soon as possible so it becomes the default way of controlling … well, everything. Including your kitchen and your car.